Duk Mandoo Gook is a soup with sliced rice cakes and dumplings and served during Korean New Year. Lunar New Year in 2016, is Monday February 8th. 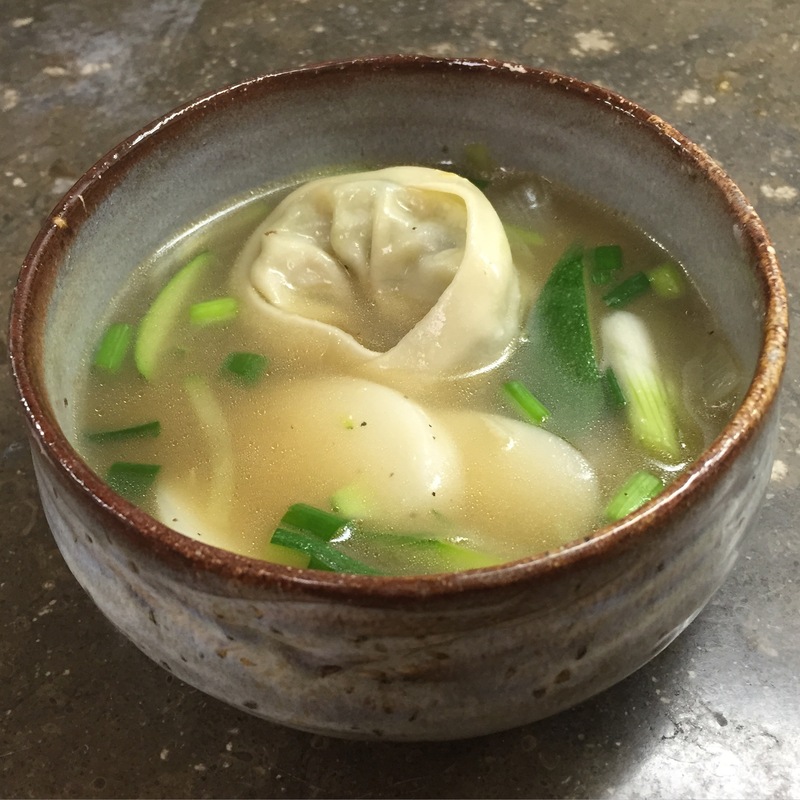 Traditionally families gather on New Year’s day to make dumplings; several of the recipes posted here would be appropriate for this soup or you can use frozen dumplings. The soup broth is commonly made using beef bones, but here I present a vegan version of the soup. In a pot lightly saute garlic and onions in olive oil until lightly wilted. Add three cups of water, the bouillon cube, the sesame oil and the soy sauce to the pot. Once the soup is boiling add the rice cakes and bring the soup back to a boil and cook until the rice cakes are soft. Add the frozen Mandoo and bring the soup back to a boil, add the slivered zucchini and scallions, and cook for another minute or two until the dumplings are cooked through. This entry was posted in Recipe, Vegan, Vegetarian. Bookmark the permalink.